The problems of a globalised world do not respect the borders of individual states. However, these same boundaries continue to determine decision-making. 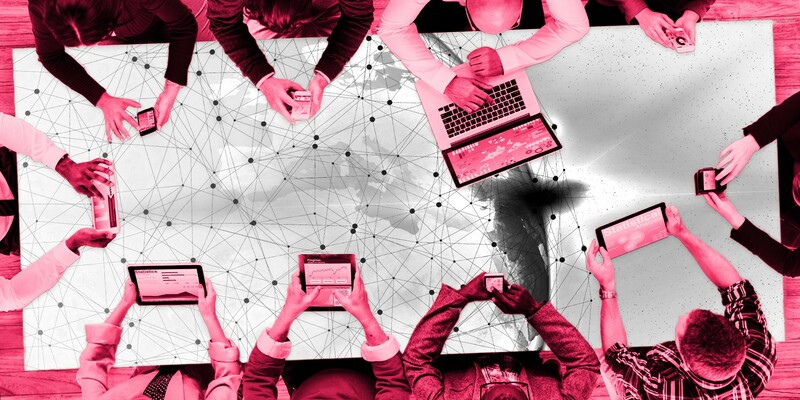 Can improving communications technology and civic networks help democracy span borders and enable more and more people to have their voices heard? Johannes Anttila is a democracy enthusiast and communicator whose work is to help people and companies to understand themselves, each others, and the surrounding society. He is interested in new forms of democracy, the power of networks, and the possibilities technology provides for the both of them. Currently Johannes is writing his Master's thesis about the future scenarios of global democracy. These are the words that appear at the end of a video that was uploaded to YouTube by a consultancy called Casaleggio Associati on 21 October 2008. The video lasts just over seven minutes and introduces a vision of the future of politics, ending in 2054 – the year in which global elections will be held and a global government, “Gaia”, will be formed. According to the video, Gaia is the culmination of a development that was started by – who else? – the ancient Romans and the road network that made their empire possible. The video, which tries to capture the same dystopian ambience created in the movie V for Vendetta, goes through the entire world history at a rapid pace. The message of the video is clear: when power is used, it is networks that play the key role. it is easy to see the connection between the Five Star Movement and the Gaia video: networks and their power. While the video depicts a picture of a global government in a distant future, the Five Star Movement operates through the Rousseau web application (link in Italian) designed by Casaleggio Associati. In the application, members of the movement debate and vote for the party’s policies and the candidates they put up for elections. Year 2054 is still a long way away. But could the Five Star Movement and Rousseau be a prelude, at the level of nation states, to a vision of global democracy that works through networks, as with Gaia? Gaia is not the first and certainly not the last vision of a democratic governance model covering the entire globe. Different proposals for a global state or parliament were made at the time of the French Revolution and, later, with the establishment of the League of Nations (and its successor the United Nations). For example, a global campaign that has been working since 2007 to establish a United Nations Parliamentary Assembly (UNPA) has attracted wide attention and is supported by almost 1,500 former and current members of parliament from 120 different countries. The campaign and many other advocates of global democracy share a common understanding: we live in a world in which problems are not confined to within the borders of nation states. Even if modern democracy is largely tied to a place, the problems, the impacts of decisions and the capital of a complex and interdependent world are not. Therefore, the big question is: how can we give a voice to those who are directly affected by decisions that have extensive impact, such as decisions concerning climate change, immigration and social inequality? The Five Star Movement’s Rousseau web application and Casaleggio’s vision of Gaia show that developing communications and web technologies can offer a new kind of answer to the big question concerning global democracy. While initiatives such as the UNPA campaign spring from a call for greater representative democracy, new technology could make it possible to influence more directly through networks. Examples of development enhanced by technology are already visible at the national level. Top universities, from Stanford to Cornel and MIT, have developed crowdsourced web tools for decision-making. Researcher Tanja Aitamurto has contributed to introducing this thinking to Finland, where crowdsourcing was used to reform the Off-Road Traffic Act in 2013. Similar processes based on debate may be even easier in the future: according to Timo Honkela, known for his Rauhankone (“peace machine”) book project, artificial intelligence could enable “debates between millions of people while avoiding the problems of social media” (article in Finnish only). A debate of such magnitude could in principle mean genuine global peer dialogue. In addition to crowdsourcing at a national level, many people have also started to consider the opportunities provided by technology on a wider scale and separate from the traditional model of representative democracy. The comment made by Pia Mancini, one of the founders of the Net Party in Argentina, is slightly blunt, but describes their thoughts well: representative democracy is an answer to problems of the past using the technology of the past. Mancini and the others want to “update democracy for the internet era”. Their answer lies with the operating systems DemocracyOS and Sovereign, both of which the net party have been developing. The first system is a voting and debating platform and the second a decentralised democratic governance model enabled by blockchain technology. Both are tools for giving people more power and increasing openness. However, asking for an opinion is still a long way from undertaking something on your own terms. Apart from the Sovereign system, the assumption in the above examples is that someone decides to ask people to join the debate. However, there is currently no one to do this on the global level. Do we therefore have to wait for new institutions to be created before we can have our voices heard? Activists Jeremy Heimans and Henry Timms and philosophers Michael Hardt and Antonio Negri have written about influencing through networks at a more abstract level. Heimans and Timms talk about “new power”, the power of crowds that is open and transparent, operates like a current and occasionally grows into a surge. “New power” is the power of sharing and peer networks that can be guided but not controlled. Hardt and Negri, in turn, use the term “multitude”. While the new power of Heimans and Timms is more like Wikipedia, Barack Obama’s presidential campaign in 2008 or the Boaty McBoatface episode in Britain, multitude represents something like the demonstrations against the WTO in Seattle in 1999 with a network of workers, immigrants, movements and non-governmental organisations deriving their power from the differences in their backgrounds. The concepts have different starting points, but they also have a lot of similarities. They both reflect how the networks in “real life” and the digital world can bring people together to stand up to or surprise the power they consider outdated. Social media played a big role in Obama’s campaign and the open publication platform Indymedia was born in Seattle. In the end, they were fairly short-lived, emotional moments in which a large number of people grouped together to support the same cause. The outcome may have had an impact on politics, too. Can new technologies, the power of networks and the current of power bring democracy to a global level? Maybe. The signs of change are visible, but there are still many obstacles on the way to global democracy. If we want to cut the link between democracy and place and if we want to give a voice to the people who are affected by decisions, the tools must be available for everyone to use. There is nothing wrong with blockchain, social media or web-based applications themselves, as long as they do not remain the privilege of a few. In addition to technological inequality, the heralds of global democracy must ask themselves a difficult question: is anyone interested? In an article published in 2016, Roberto Stefan Foa and Yascha Mounk report that only about 30 per cent of American millennials say they find it “necessary” to be able to live in a democratic state. And the declining interest of millennials – people born between 1980 and 2000 – is not limited to democratic institutions; compared with earlier generations, they are also increasingly less interested in political demonstrations and different movements. On the one hand, more people should be able to have their voices heard and have opportunities to influence, while, on the other hand, an increasing number of people should be convinced that democracy is the right way to change the world. There is a major concern: what if the only people interested in the new forms of democracy are those who are already familiar with democracy and the democratic culture and find them important? If participation differentiates widely, democracy will soon lose its justification. Based on the figures reported by Foa and Mounk, we can suspect that this has already happened in the eyes of some people. One of the biggest tasks of new forms of democracy is to convince people of the capacity of democracy to generate concrete and positive change in society – both at local and global levels. Another thought comes to mind: fortunately, the year of Gaia, 2054, is still a long way away. Perhaps by then we will have avoided the war depicted in the video, found out how an occasional willingness to influence can be spread over a longer period of time, prepared ourselves for problems resulting from digital inequality and perhaps also found a way to participate in decisions affecting us all at a global level. Recent developments give us hope, but we still have a lot to do. Let’s hope we can do better than the catastrophe Casaleggio anticipated would precede Gaia. Surely we can do better than in the story foretold in a slightly silly YouTube video? Hardt M. and Negri A. (2005). Multitude: War and Democracy in the Age of Empire. Penguin Books, New York. Foa R. S. and Mounk Y. (2016). The Democratic Disconnect. Journal of Democracy, Volume 27, Number 3, July 2016. Available at: www.journalofdemocracy.org/sites/default/files/Foa%26Mounk-27-3.pdf. Alfieri M. (2012). Grillo e l’ombra di Casaleggio il guru con il mito di Re Artù. La Stampa, [online publication] 26 May 2012. Available in Italian at: www.lastampa.it/2012/05/26/italia/politica/grillo-e-l-ombra-di-casaleggioil-guru-con-il-mito-di-re-artu-HTkcdZOw3zpCfJ13VuQXYL/pagina.html. Animal Media (2017). “Episode 9: Pia Mancini and Tom Serres Envision a Democracy Fit For the 21st Century”. Tech on Politics. 28 April 2017. Available at: https://soundcloud.com/techonpolitics/episode-9-pia-mancini-and-tom-serres-a-democracy-fit-for-the-21st-century. Campaign for a UN Parliamentary Assembly. (2017) [website]. Available at: http://en.unpacampaign.org/. Casaleggio Associati (2008). Gaia – The future of politics. 21 October 2008. Available at: www.youtube.com/watch?v=sV8MwBXmewU. Cornell University (2017). Regulation Room [website]. Available at: http://regulationroom.org/. Heimans J. and Timms H. (2014). Understanding “New Power”. Harvard Business Review [online publication], December 2014. Available at: https://hbr.org/2014/12/understanding-new-power. Klein M. (2008). The Deliberatorium [website]. Available at: http://cci.mit.edu/klein/deliberatorium.html. Lehti A-E. (2017). “Facebookilla ja YouTubella on enemmän valtaa kuin valtioilla”. Kauppalehti [online publication], 6 May 2017. Available in Finnish at: http://app.kauppalehti.fi/uutiset/facebookilla-ja-youtubella-on-enemman-valtaa-kuin-valtioilla/HJNwM2t6/lifestyle. Movimente 5 Stelle (2017). Rousseau [website]. Available at: https://rousseau.movimento5stelle.it/. Stanford University (2014). Consensus BETA [website]. Available at: https://consensus.stanford.edu/.